A beautifully designed First Communion/Confirmation Candle made to mark a special occasion in the life of the Church. First Communion and Confirmation Candle Single is published by Charles Farris and is our 351st best seller. 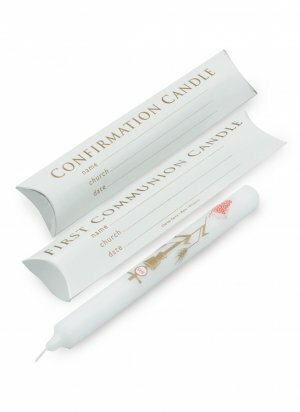 The ISBN for First Communion and Confirmation Candle Single is BC-04P. Got a question? No problem! Just click here to ask us about First Communion and Confirmation Candle Single.